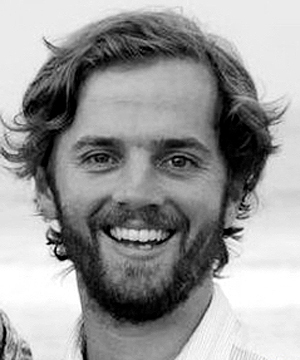 Ben Selkow is an award-winning New York-based filmmaker whose work has been exhibited on HBO, CNN, Sundance Channel, Discovery, Science, Pivot TV, Esquire, The Weather Channel, SnagFilms and at numerous international film festivals. His varied credits include: “Anthony Bourdain: Parts Unknown” (CNN, Director/Producer, 2014 – Emmy and Peabody Award-winner), “Welcome to Fairfax” (Pivot, Executive Producer, 2014), “Get To Work” (Sundance Channel, Senior Story Producer, 2012), “Prayer for a Perfect Season” (HBO, Producer, 2011), “Rising: Rebuilding Ground Zero (6-part series, Steven Spielberg/DreamWorks/Discovery Channel, Post Producer, 2011 - Emmy Award-winner), “The Carrier” (Cinedigm, Producer, 2011 - Tribeca Film Festival), and “A Summer in the Cage” (Sundance Channel/IndiePix/FilmBuff, Director/Producer/Cinematographer, 2007), which won the 2009 Mental Health America Media Award. He was a Mental Health Journalism Fellow at the Carter Center (2010-2011), the institute founded by former U.S. President Jimmy Carter and his wife and activist Rosalynn Carter, and a Sundance Producer’s Conference participant (2003). He graduated from Wesleyan University’s Film Studies Program with Honors in 1997. 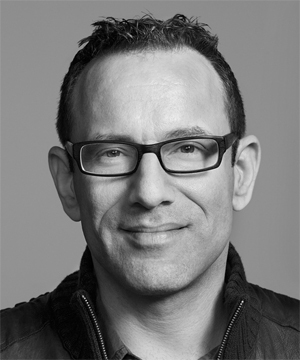 Marc Smolowitz is a multi-award winning director, producer and executive producer with 25 years of experience across all aspects of the entertainment and media business. His career focus has been powerful social issue filmmaking across all genres. His long list of credits includes films that have screened at top-tier festivals - Sundance, Berlinale, AFI Docs, IDFA, Tokyo, Melbourne, among others - and been released worldwide theatrically, across all forms of television, and on VOD/Digital. Select titles including: "The Nine" (Producer, 2016), “Buried Above Ground” (Producer, 2015), “Desert Migration” (Producer, 2015), “Black Is Blue" (Producer, 2014), "Heaven Adores You" (Producer, 2014), “Havana Curveball" (Exec. Producer, 2014), "The Campaign" (Producer, 2013), “Keep The Promise: The Global Fight Against AIDS,” narrated by Margaret Cho (Director/Producer, 2013), "The Power Of Two” (Director/Producer, 2011) "Still Around" (Exec. Producer/Collaborating Director, 2011), "The Weather Underground" (Producer, 2003), "Trembling Before G-d" (Producer, 2001). In recent years, he was the Producer at TellyTopia, a Silicon Valley start-up specializing in interactive television, IP-TV and VOD products for cable & satellite companies. In the 1990s, he was widely known as the President & Founder of Turbulent Arts -- a boutique, indie film distribution and sales company based in San Francisco that ranked as the 26th largest film company in North America, 14th among independents, at its peak in 1998. Today, he works full-time as an independent filmmaker, while maintaining a thriving consulting practice called 13th Gen that guides filmmakers through key stages of development, fundraising, production, post, completion, and distribution. 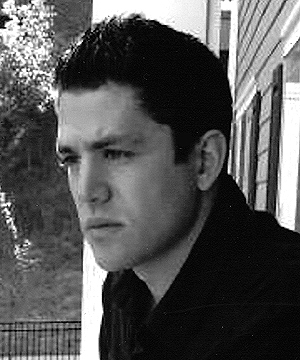 James Lester is an independent film director, producer, writer and editor. This year, Lester was a producer and senior editor on “Chicagoland,” the acclaimed CNN original series from executive producer Robert Redford. He also wrote and directed “Tough Day” starring Kevin Bacon, a heralded PSA bringing awareness to child homelessness in New York City. As an editor, Lester’s long resume includes television programs for CBS, NBC, FOX, CNN, MSNBC, MTV, Discovery ID, Travel Channel, and Sundance, as well as feature documentaries for HBO. He also co-edite /shot the Grammy-nominated music film “The Greatest Ears in Town: The Arif Mardin Story.” Before working in film, Lester studied music and spent 10 years composing and playing in jazz bands as well as teaching piano, music theory, and jazz history at various conservatories in New York. He is currently in pre-production on several documentary and narrative projects. 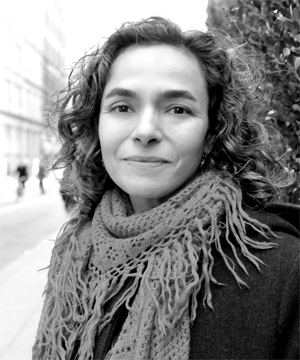 Flávia de Souza recently co-edited “Mala Mala” for Killer Films. Previously, Flávia edited the Academy Award®-nominated short documentary film, “Open Heart” (2012) for director Kief Davidson. She was the editor of “The Carrier,” which premiered at the 2011 Tribeca Film Festival. She co-edited “In 500 Words Or Less,” which premiered at the Austin Film Festival in 2009. Flávia also edited “When The Spirits Dance Mambo,” which premiered at the Havana International Film Festival in 2003. Flávia's television experience includes editing work for National Geographic, TLC and Discovery Networks. 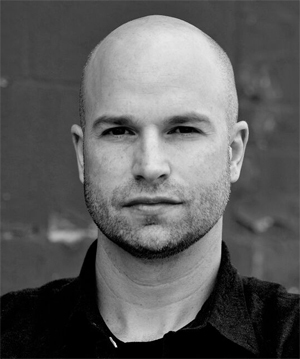 Joedan Okun is the Co-Producer of “Buried Above Ground.” Joedan has over 10 years of experience working as a producer and post-production specialist on a variety of feature documentaries. He was a Producer on Maggie Betts’ documentary “The Carrier,” an intimate look at prevention of mother to child HIV transmission that premiered in competition at the Tribeca Film Festival before being broadcast on PBS World and released by Cinedigm Entertainment. He also worked as the Associate Producer on Ben Selkow’s “A Summer in the Cage,” a feature-length documentary that aired on the Sundance Channel. As a post-production specialist, Joedan most recently worked on Matthew Heineman’s “Cartel Land” which premiered at the 2015 Sundance Film Festival and will be released by A&E Indie Films. He also oversaw the post-production and delivery of Frederic Tcheng’s “Dior and I” which debuted at the 2014 Tribeca Film Festival and will be released theatrically in 2015. Before that, Joedan worked in different capacities on several documentaries, including the Academy-Award nominated feature documentary, “Sound & Fury,” the Academy-Award nominated documentary short “Why Can't We Be A Family Again?” and the Emmy Award winning American Experience documentary “The Pill.” Joedan graduated with Honors from Wesleyan University.